Anglian Water is embarking on the second phase of its push towards more on-site solar renewable energy generation at its water treatment sites. The company has appointed HBS New Energies to deliver a 30MW solar power purchase agreement (PPA) programme to deliver "huge carbon and energy savings". The first site under the contract has now been installed and the deal will help Anglian with its bid to become carbon neutral by 2050. This is the second successive order awarded to HBS as part of the five-year renewable energy framework to boost on-site generation at Anglian. It follows the installation of arrays by HBS in 2016 at the Hall water treatment works in Lincolnshire and water recycling centres in Witham and Rayleigh. 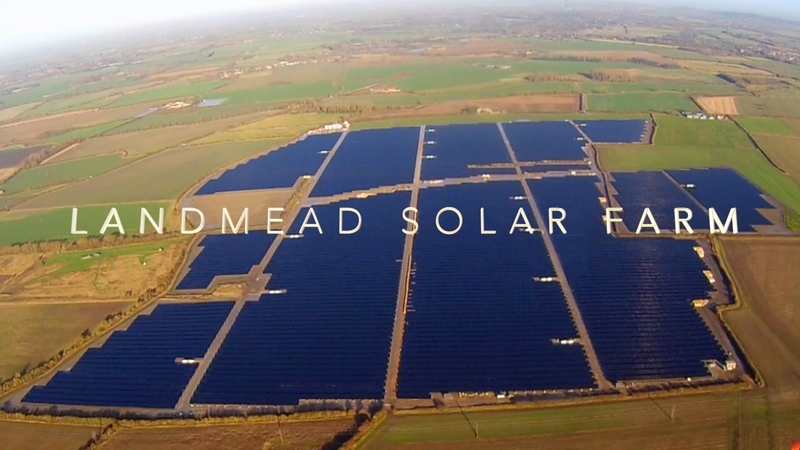 These installations were the beginning of Anglian Water's drive to reduce carbon emissions with the use of solar photovoltaic (PV) across its sites. Macquarie Principal Finance is funding the installation of the solar assets under the PPA and will partner with HBS, which will design, install and operate solar PV systems across Anglian Water's portfolio of operational sites which range from 200kWp up to 15MWp. Anglian Water is one of the biggest energy users in the East of England. The solar PV rollout will create electricity and carbon savings and support Anglian's commitment to operate and maintain energy-efficient infrastructure. HBS New Energies is working with Anglian Water on all aspects of the solar programme, from legal collaboration, planning, and site surveying through to electrical design, project development and construction. The PPA created with Macquarie, offers Anglian Water low cost, carbon neutral electricity that will help its operations become more energy efficient and sustainable for the next 25 years. Once complete, the solar installations are expected to save more than 9,000 tonnes of carbon emissions annually compared to power sourced from the UK grid "“ the equivalent of over 1,000 households in the UK. The terms of the transaction have not been undisclosed.